Carley was excited—it was a big opportunity to work with an established businesswoman and it could be great for her folio—so she promptly organised a phone call. 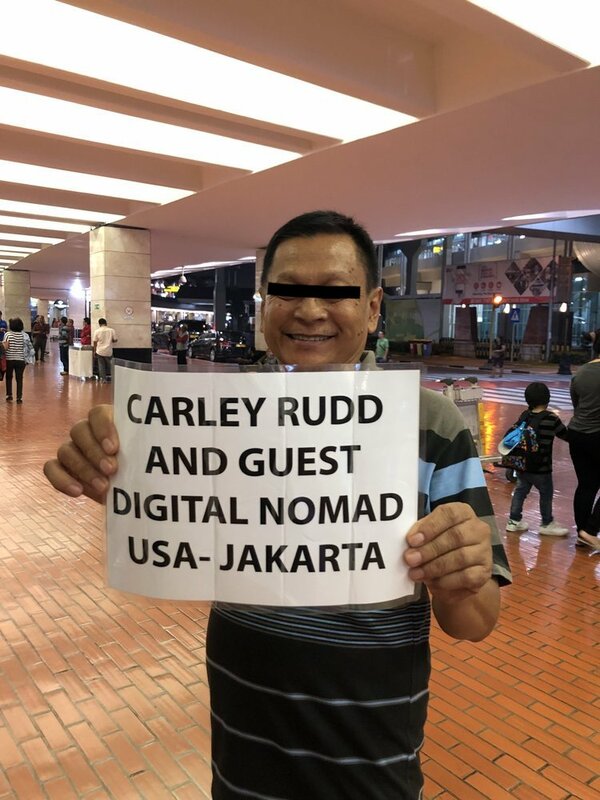 Wendi and her assistant—a guy with a thick New York accent who introduced himself as Aaron Gersh—explained the project in detail and seemed to know a lot about Carley’s previous work with brands and travel publications. They spent hours on the phone together over the course of multiple days. Carley says it was the tiny details that really made the scam work. In the following days there were logistical problems with drivers, accusations from Aaron that they’d breached the NDA they’d signed and eventually they were asked to pay $800 cash to their driver for an overtime fee. Carley refused. That’s when things turned sour. 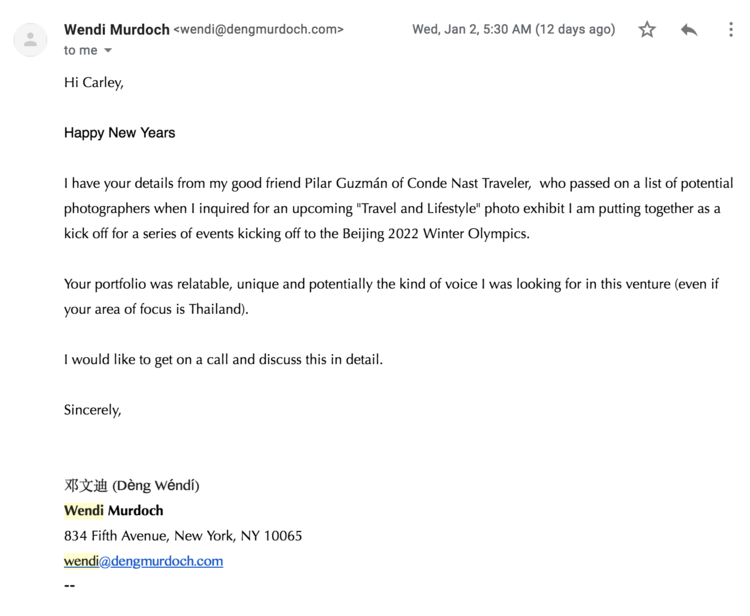 Henry Wu and Zory Shahanksa, a couple of photographers from San Francisco who have around 80K Insta followers each, were sent an almost identical email by “Wendi.” Their experience turned out almost exactly the same as Carley’s: the scammers had intimate knowledge of their respective portfolios, they showered them with praise and offered a paid photography job in Indonesia.